Proper maintenance of your sump pump system ensures a waterproofing system that's ready for peak performance when water is building around the foundation. As is the case with all mechanical things, a sump pump has moving parts that will eventually break down. Having a service specialist check an interior perimeter drainage system and sump pump can be done in one easy, inexpensive annual visit. Call or contact us today to have your system serviced- we serve throughout Ohio, including Alliance, Ashland, Cadiz, Dover, East Liverpool, Hartville, Massillon, Millersburg, New Philadelphia, Salineville, Wooster, Yorkville. Superior Basement Systems has been servicing Alliance, Ashland, Cadiz, Dover, East Liverpool, Hartville, Massillon, Millersburg, New Philadelphia, Salineville, Wooster, Yorkville and other areas of Ohio since 1991.
, and we have the reputation, established business, and reputable products that you need for a dry, usable basement space. They are also certified dealers of the Basement Systems basement and crawl space network- the largest of its type in the world. 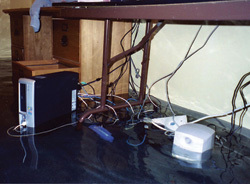 Their sump pump systems include the award-winning SuperSump® and patented TripleSafe Sump Pump. For a free sump pump estimate and professional inspection in your home, call or contact Superior Basement Systems online today! Each estimate comes with a FREE, full-color 88-page book, and all estimates come with no obligation to the homeowner.